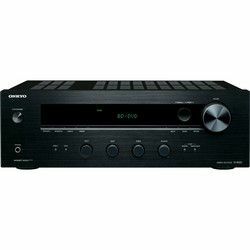 I’d like to compare two mid-level AVs Denon AVRS740H vs Sony STRDN1080 to find out the crucial diversities between 7-channel Sony and 5-channel Denon that influence their functionality. Sony STRDN1080 is more expensive, but it has no smartphone remote control and its distortion is a bit higher. 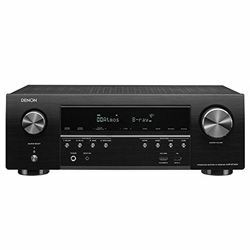 However, more low-cost Denon AVRS740H lacks a total power, as well as a power per channel. Denon AVRS740H is a Dolby Atmos AV that produces an excellent sound especially while streaming over the Internet via USB or HEOS app. To get loud and at the same time warm and rich sound at low volume, to turn it up will be better. Sony STRDN1080’s sound is brighter and more surround but less intimate. However, it supports both Dolby Atmos and DTS:X to make the sound extremely immersive. Unfortunately, Denon AVRS740H has no built-in Chromecast but can boast Amazon Alexa control. It streams content from Pandora, Amazon music, and many other services. Denon AVRS740H provides great playback of some various audio formats through both the USB port and the connected PC or laptop. It allows setting wireless system in two different rooms. It is possible to expand input sources or Bluetooth connections with the aid of just HDMI cables – a single one for every source – without punches of RCA or optical cables. 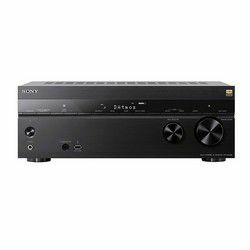 Sony STRDN1080 can’t offer turntable connectivity in contrast to Denon AVRS740H, but it has 6 inputs HDMI inputs and 2 HDMI outputs versus Denon AVRS740H’s 5 inputs and 1 output. When looking at Sony STRDN1080 vs Denon AVRS740H, the differences in their design are visible. Denon AVRS740H looks a bit overcrowded in comparison with neat Sony STRDN1080, but it has some useful shortcut buttons on the front panel. Besides, it is more compact and lighter than Sony STRDN1080. Sony STRDN1080 comes with a minimalist approach. It looks modern with its metal finish. The display is not very large: it is hidden in a glossy strip along the top of the AVs front panel. 2 large buttons are plastic and light. In general, its building seems average. Perfect connection with Apple 4K TV. Provides more accurate and natural colors while streaming videos. The system set up is accurate and easy due to Audyssey speaker calibration. Old on-screen graphics when using the remote. Does upscaling via HDMI to enjoy any content in the higher quality. High signal-to-noise ratio that allows getting loud sounds with a minimum of background noises. Can’t reduce files and improve their quality on the Apple devices.